Stylehive brings you a sneak peek of Edun's stylishly sustainable 'Nocturne' collection! Bag Snob exclusive: Pierre Hardy bags! 55 Secret Street discovers her SoleMates - discreet high heel protection for everything from cobblestone walks to the mean sidewalks on New York City. Vintage Marc Jacobs (1991) auctioned off Papierblog is in lust. 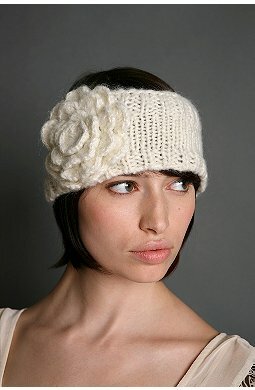 StyleBakery went on a recession-proof shopping spree and found must-haves to wear now and forever. Allie is Wired has the first pictures of Gwen Stefani's new baby, Zuma Nesta Rock Rossdale. Debutante Clothing is in awe of Resurrection's avant garde fashion at Christie's London. Fashion Pulse is mesmerized by Alexander McQueen’s Spring 2009 Collection. KRISTOPHER is wanting, wearing, hating Jimmy Choo clutches. Ladybrille captures fun pictures from Nollywood A-List Actress Stephanie Okereke's Through the Glass Film Premiere!. In this economy pretty much anything is negotiable. Second City Style offers tips how to bargain for a better deal. Shopping and Info found out who made Angelina Jolie’s dress from the Hollywood Film Festival Gala. Stiletto Jungle names the best jeans for pear-shaped women. A Few Goody GumDrops has just ordered the ultimate Digital Goody from Vivienne Tam! The Fashionable Housewife just got back from a 10 day getaway to beautiful Naples, FL and want to share What Was In Her Suitcase!!! The Shoe Goddess ponders the practicality of 6-inch heels. How high will you go? Beauty Snob glows with Laura Mercier Illuminating Tinted Moisturizer! Christina Loves... amazing overnight hair treatment, Kronos Phyx. The Beauty Stop says that false eyelashes are easier than you think. 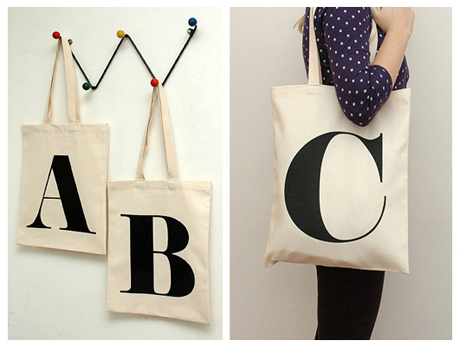 Tote around your favorite intial with the roomy Alphabet Bags by UK based girfriend/boyfriend team Haley and Lucas. Each back is made using 100% heavy-weight cotton and have been stitched and screen printed in the UK. Each bag is £10 or about $16.55 (and they do deliver internationally). I love the bold, graphic type and how it's roomy enough to tote around everything you need! One of my favorite stores in Los Angeles is ReForm School, owned by the fabulous Billie and Tootie. The ladies will be moving just around the corner next Tuesday to bigger storefront space and joining them is another crafty pal of mine, Jenny Ryan who will be running Home Ec, a place for crafting and DIY workshops as well as craft tools/materials. Read more about their move in their guest post on design*sponge and keep up with the ladies on the Reformschoolrules.com. 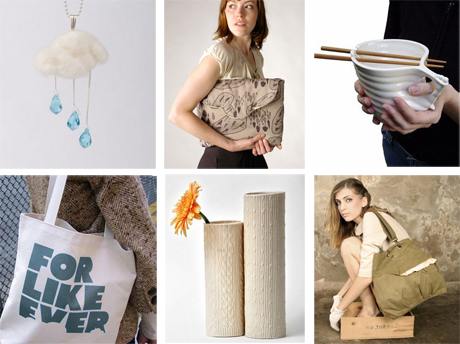 English Summer Pendant ($42), Passenger Pigeon Organic Cotton Laptop Sleeve in Gray 17" ($68), Flavour Design Udon Noodle Bowl ($28), For Like Ever Recycled Cotton Tote ($32), Alyssa Ettinger Knitware Vases ($120), and Madeline Bag by Jack & Marjorie ($80). 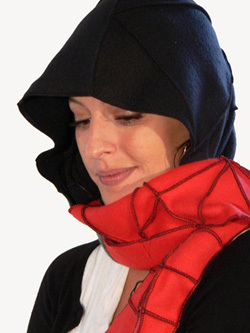 As the fall chill sets in, looks like the new trend in the cold is the hoodie scarf. 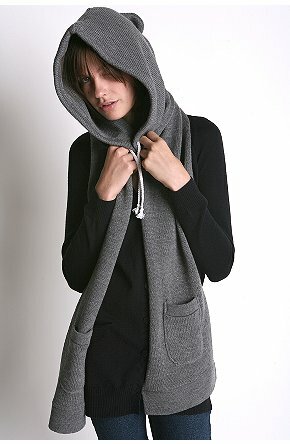 I love the cozy feel of the Snowball Hoodie Scarf ($38 at Urban Outfitters) shown above. Isn't it adorable? This interview is an excerpt of my interview with Daniel V on the CRAFT Blog. I think most of you know by now how much of a Project Runway junkie I am. My favorite season has to be Season 2, since that's how I've come to know over the years Diana Eng and Chloe Dao. Now, I am extra excited to get a chance to talk to another Project Runway Season 2 alum, fashion designer Daniel Vosovic. 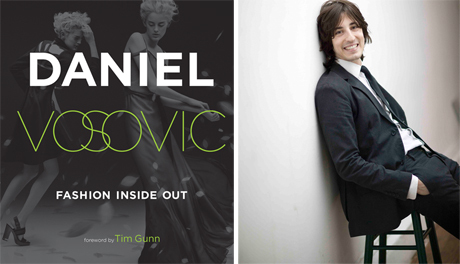 Daniel's got a brand new fashion book due out next Tuesday, October 28th aptly titled, Fashion Inside Out: Daniel V's Guide to How Style Happens from Inspiration to Runway and Beyond. First off, the book is beautifully designed with gorgeous photography. Yet, it's more than just a book to look through -- it's really a comprehensive guide on how to create your own fashions -- from inspiration and design, to the technical process of pattern-making and sewing, and finally selling your work to a client and taking it down the runway. Interspersed in the book are Q&A's from industry professionals too. I love the many tips that Daniel adds throughout the book from drawing croquis to great pressing techniques for various fabrics. My favorite section if I had to choose, is "The Execution: Creating a Garment" where he discusses the "rub-off" technique -- a way to create patterns for your garment with out having to start from scratch. You'll also learn a lot about draping, something I've been interested in knowing more about for a long time. I could go on and on about this book but you'll just need to see it for yourself! There's really never been such a fashion design book like this before. It's an inspirational guide + reference book that will help any crafty fashionista take their design and sewing skills to the next level. Natalie: Your new book, Fashion Inside Out, is one of the most comprehensive books on the fashion design process I've ever read. What was the inspiration behind writing it? Daniel: A huge inspiration was the fact that I had never seen anything else like it on bookshelves... anywhere. Having gone through years of structured design education, I was taught many things by many different designers and professors, but a lot of my education focused more on technique, rather than how to harness an actual idea and growing it from there. Without getting too philosophical, I wanted to provoke people into creating something solely from an idea's conception, or at least showing them how I do it. Natalie: How do you find inspiration before you design a collection? Daniel: I have to sort of turn a visual and mental valve in my head on and off. I wish I could wander around month after month simply spitting ideas out left and right, or scribbling in my notebook, but eventually I reach a time in the design process where I need to "shut it off" and focus on moving the design forward. Natalie: If you could narrow it down to two, what in your opinion are the key sewing or production techniques that every aspiring designer should know? Daniel: Knowing how to alter/check your own patterns for necessary alterations: armhole ease, cap adjustment, twisting seams, etc. Also, knowing how to use a seam ripper properly - I couldn't live without mine when I first began haha! Natalie: How would you describe your experience being on Project Runway? Daniel: Exhausting but fruitful. If anything, at least I can sit down 30 years from now and have amazing memories documented of a very intense experience in my life. Natalie: Are there any new or upcoming projects you are working on that you can share with us? I'm just anxious to get back into a design room and get this book in your hands already! Read more of Daniel's answers here at the CRAFT Blog where he answers questions from CRAFT magazine readers and enter your change for a FREE copy of Fashion Inside Out (Deadline for giveaway is Saturday, Noon PST). 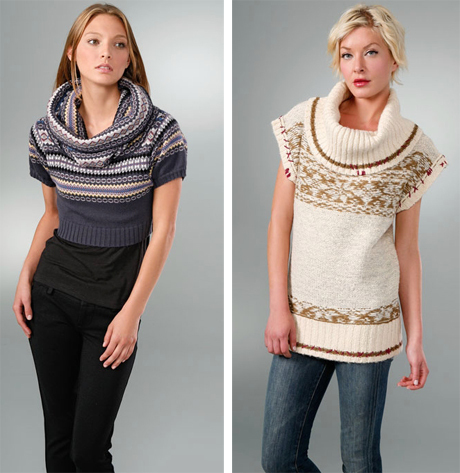 Second City Style Fall Trend Alert! Feather Hair Accessories and where you can find them. Bag Snob is the Herman bag much cooler than Hermes? 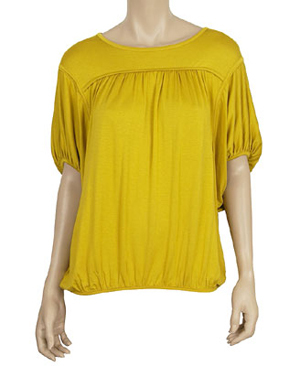 StyleBakery is celebrating Cheap Chic Week with great finds for under $50. Fashion, Evolved tells you how to buy vintage! Fashion Pulse shows how to partake in the the leopard print trend. KRISTOPHER is wanting, wearing, hating Giuseppe booties. Ladybrille interviews MTV Hills Lauren Conrad at Mercedes-Benz LA Fashion Week, Spring 2009. Stylehive gives you the evolution of Britney Spears through Halloween Costumes. Lindsay Lohan dumped by Ugly Betty? Allie is Wired says it's true! Bag Bliss loves the day-to-night Graham & Spencer Orchid Clutch. Karl Lagerfeld kind of likes the Chanel exhibit in Central Park remarks Papierblog. Valparaíso Design Week a new window for the fashion emerging design by Quinta Trends. Shopping and Info wants you to knowthat the cast of Lipstick Jungle is cold in NYC and Gisele Bundchen is hot in LA. 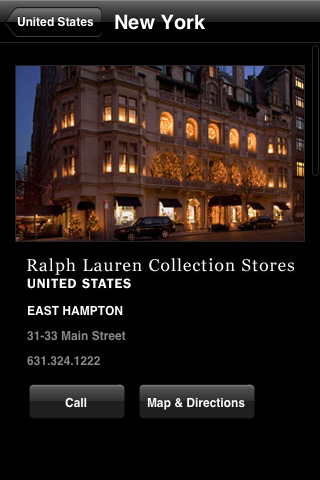 The Shoe Goddes finds shoe options for a gorgeous Diane von Furstenberg gown! The Beauty Stop sheds light on fall's rosy cheek trend. Beauty Snob fights aging hair with Alterna Caviar Shampoo and Conditioner. A Few Goody GumDrops has the Fabulous solution for flabby arms and it's FLABuLESS! Stiletto Jungle is saving Florence with Santa Maria Novella. Tonight on at 10pm E/P on the Sundance Channel, don't miss ICONOCLASTS featuring Stella McCartney and artist Ed Ruscha, exchanging ideas about fashion, art and their respective industries. Both push the boundaries of art and fashion, and here is a rare glimpse into their respective worlds. McCartney was one of the first fashion designers to promote eco-fashion (before organic was "hip) and Rucha pushed the boundaries of art, most notably incorporating words and phrases into photography during the Pop Art movement. I can't wait to watch this tonight! This is a great video clip of Stella McCartney discussing her organic materials in her fashion line to Ed Ruscha. Here's also another clip of the two of them discussing the differences and similarities in their respective industries. With the economy down in the dumps, there's still room for fashion but definitely under a budget. I've collected here some great picks that are all under $25 but will keep you fashion forward at the same time. I love this classic black and white striped turtleneck that's only $8.50 at Forever 21. 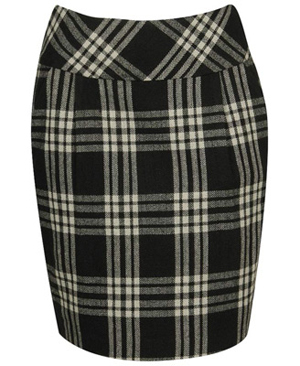 Pair it with a red skirt and it's instant Parisian chic. I'm feeling the love for cowl neck short sleeved sweaters like this Twinkle Short & Sweet Crop Sweater ($326), Free People Snowdrift Cowl Neck Sweater ($108). And guess what? 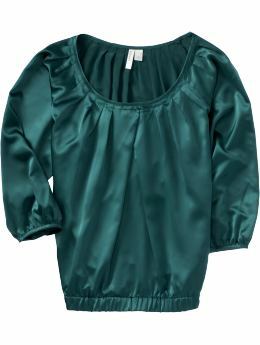 You can get them now on sale at Shopbop One Day SALE! Save 20% on all full priced merchandise with code TREATS2008. This code expires at 11:59pm PST on October 21st 2008.